We welcome patients of all ages at our office. Dr. Denos has over 20 years of experience treating patients from childhood through retirement. 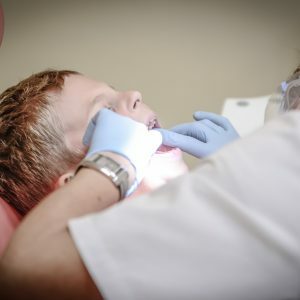 Dr. Denos is as comfortable treating the cavities of a 5 year old as he is the complex dental implants of an 80 year old. Dr. Denos’ dental team has a family feel. In fact, the majority of his employees have been with the practice for more than 10 years. Denos Family Dental takes pride in treating its patients like they were members of the family. We take the time to listen to what our patients need, and how they feel, in order to make each visit as comfortable as possible. We are all committed to giving our patients the best treatment possible, with the utmost integrity. Come see us and become a part of the family. Dr. Denos is the first dentist in Southern Utah to provide treatment with the “Solea Dental Laser” (which allows normal fillings to be completed with no “shot,” and without the use of a drill). At Denos Family Dental, we utilize the most advanced technologies available in dentistry today. Dr. Denos has been a user of the CEREC “Same Day Crown” system for over 8 years. Implants allow dentists to restore lost or missing teeth, creating a natural appearance, and giving new found confidence and comfort to the patient. Dr. Denos attended his first dental implant course in 1987, and today has more than 25 years of dental implant experience. Everything we do at Denos Family Dental has its origins in preventive dentistry; because, the best dental treatment is maintaining a healthy smile. Regular check ups and cleanings should be performed every six months. Maintaining regular dental checkups is the best and cheapest way to care for your dental health.